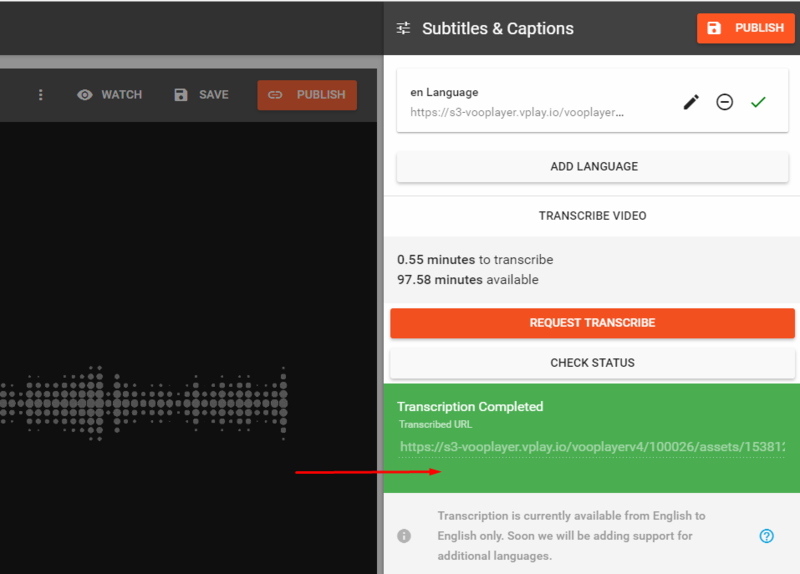 You may now Request Transcription of videos uploaded to vooPlayer in order to have subtitles generated automatically. You may purchase transcription minutes directly from your dashboard. How do I request a transcription? 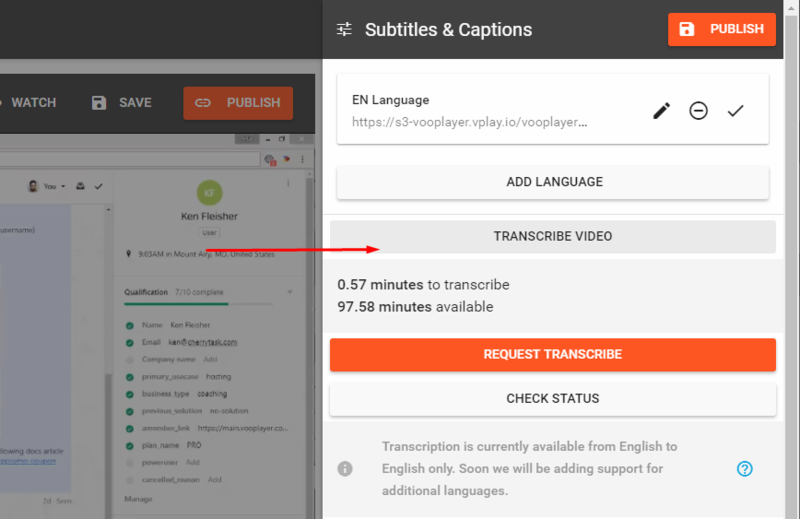 Open the subtitles feature and there you will find an option to request transcription. Once the transcription has been completed, you will get a generated subtitle text file which will automatically be added, but not saved, to your video. You will be notified via email that the transcription is ready for review at which time you may save it on your video.